Before you can contact this club, you must be registered as a player or coach. Please click here to register. 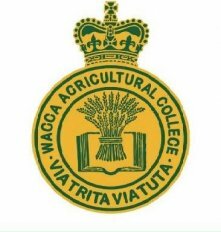 Wagga Ag College is the premier university rugby club in country New South Wales. Wagga Wagga is located approximately half way between Melbourne and Sydney which is 4 and a 1/2 hours by car, or a 50 minute flight. Wagga is renowned for producing world class athletes across numerous sports, with rugby being no different. Ag College (Aggies) has a long and proud tradition of comradery, mateship, good rugby and a rugby network that is global. Being a uni club, Aggies will introduce a great social life and a great way to meet people locally, through our numerous social events or through our many networks. Being a uni club, we are definately a younger age than our rivals. We are fit, fast and not intimidated by anyone, however we are lacking depth in the front row. We are looking for ball running front rowers who thrive on contact in both open and tight rugby. You'll need to play both sides of the scrum ideally, but worst case tighthead. The more experience in this field, the more desirable. Aggies are well represented each year in the representative outfit of Southern Inland Rugby Union and moving onto Brumbies provincial. Aggies have a strong coaching group, our current head coach having coached a premiership side in 2016, and our new assistant coach being the local Brumbies Development Officer. We are keen to talk to good people quickly, so please don't hesitate to contact Head Coach Willy Mitchell - [email protected] or +61 433305530 for a chat and more details. For the right people, we will be offering airfares, free accommodation for an amount of time, employment and a pathway to representative footy.